Can anyone update Melissa's 1/8 th mile time ?? Got Damn........ that's so cool. Congrats again. This list is not up to date with 1/8th mile times by the way. He stopped updating it last year. I believe that the only update was Melissa told them to turn it up a little she was getting bored in the 9.80 range. We have been chomping on the bit for a while to run it out. Lots of time making everything legal at our track. She is legal now anywhere. Mazda is just about there now to. Needs a diaper and flex plate shield. Then let the games begin !! I think the car is at JD's weight now to . Ill try an remember to weigh it tomorrow. Looks like I should be on the list? On a real street tire with a 440 tread rating it has been a 6.92 @105 and on a 18 inch nitto it went a 6.87 at 18psi boost. More new times to come I'm sure!! I ran 6.8, 102mph, 10.79 at 133mph off an idle type launch on alky. 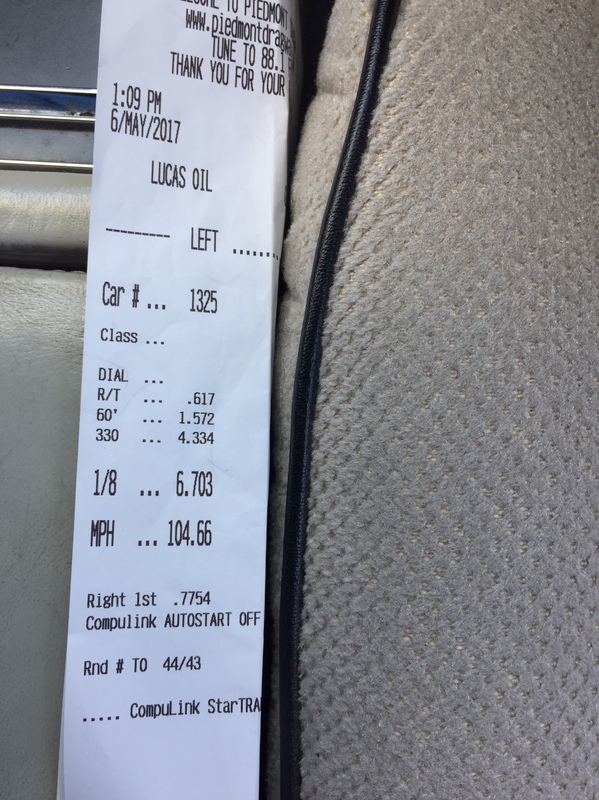 7.13@96 1.58 60ft 8th mile w/91 octane pump gas, 25/23 degree Extender 24 psi boost w/alchy. The times on this post are beyond awesome. You are having a blast with that thing !